May 11, 2013 was a great day for all fans of the Princess Merida from the award-winning Pixar film "Brave." 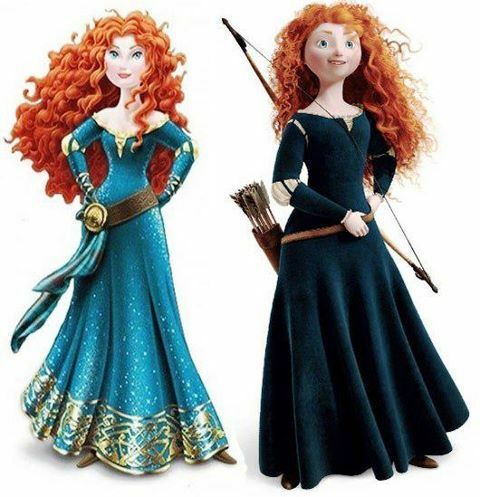 The original Merida, on the right, and the new look of Merida, on the left. 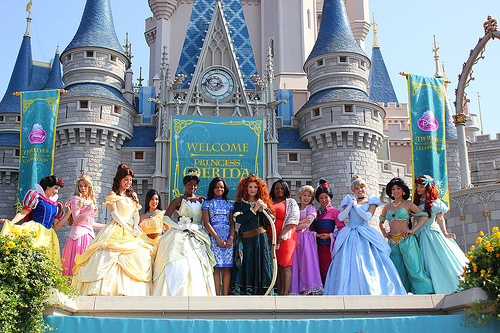 Congratulations to Merida from the Pixar film "Brave," who officially becomes the 11th Disney princess as of May 11, 2013 in a coronation at Walt Disney World in Orlando, Florida. Above, we see her as portrayed in the film on the right, and on the left as she will henceforth be portrayed in dolls and accessories. 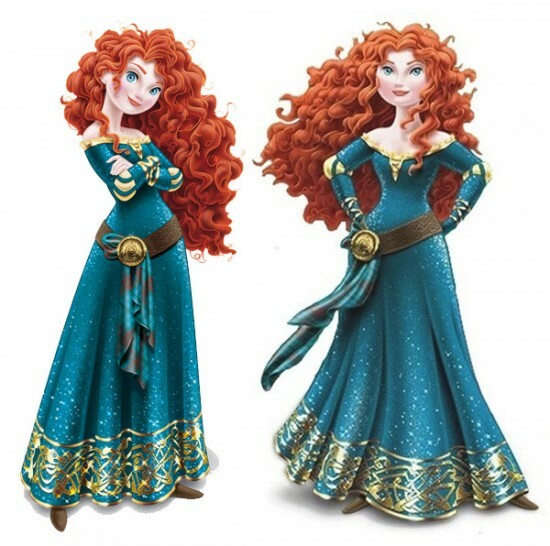 Clearly, Merida got an extreme makeover that makes her look even more fabulous than she did previously. It is a great day for Merida and all fans of the animated sensation "Brave." Just to keep track, the ten previous princesses are: Ariel, Aurora, Belle, Cinderella, Jasmine, Mulan, Pocahontas, Rapunzel, Snow White and Tiana. 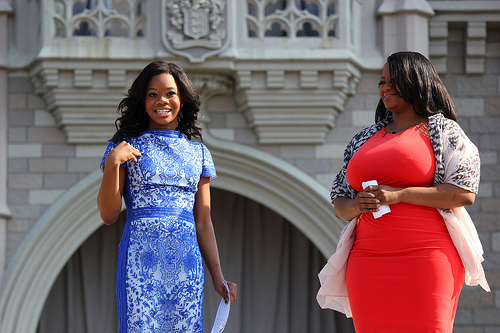 Olympic Champion Gabby Douglas was on hand with her mother to introduce the newest Royal Princess. 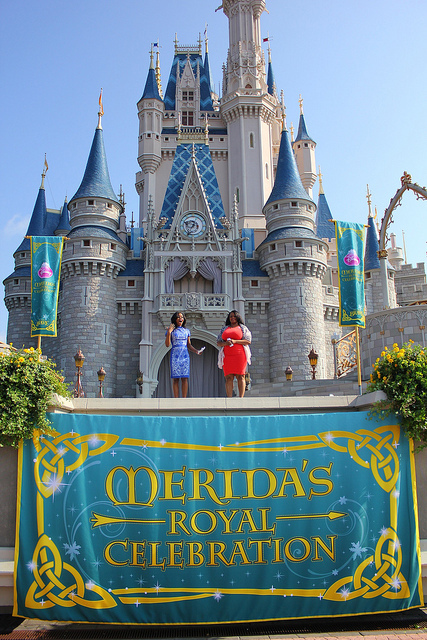 Walt Disney World in Orlando, Florida was the site of the Royal Celebration. Below are videos of the official coronation ceremony, with appearances by all the Disney princesses. How exciting!